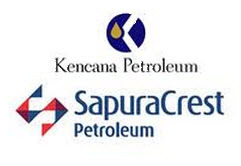 Kuala Lumpur : SapuraCrest Petroleum Bhd and Kencana Petroleum Bhd expects their merger to take palce by the first quarter (1Q) of 2012. The RM11.85 billion merger will results in the world’s fifth largest oil and gas services provider to compete with global oil majors for more complex, capital intensive projects. The boards of both companies recently established an integration committee to be jointly chaired by SapuraCrest executive Vice-Chairman and President Datuk Shahril Shamsuddin and Kencana Group CEO Datuk Mokhzani Mahathir. In a joint statement, they expressed keen interested to explore the opportunities and dynamics as a merged entity via Integral Key Sdn Bhd (IKSB), the special purpose vehicle wholly-owned by Mayban Ventures Sdn Bhd. Shahril and Mokhzani said the companies viewed the merger as an enabler on multiple level and the dynamics would work for them. “With a suite of assets and services that clearly complement each other, we can unlock the full potential of our abilities as a combined company and move steadily into the next chapter of growth. “We are highly optimistic about fostering a solid partnership based on our mutual respect for each other and shared vision to build an entity on a foundation of integrity, strong core values and merit. This is an absolute necessity to compete locally and on a global stage” they said. Under the cash and share-swap deal approved by both boards, IKSB will acquire all assets and liabilities of SapuraCrest for RM5.87 billion and that of Kencana for RM5.98 billion. The companies expect to secure 75% approval from their respective shareholders at EGMs to be held by end-year. The merger is being jointly advised by Maybank Investment Bank Bhd and CIMB Investment Bank Bhd.